As I’ve said, sometimes I experience Second Sock Syndrome even if the pattern is of my own making. Second Sock Syndrome is when the second of a pair of socks takes an unrealistically long, long time from cast on to cast off. I’ve had Second Sock Syndrome that lasted two years. Hence, when The Skipper’s second sock was beginning to lag I decided a major intervention was needed. Like the old ball and chain prison inmates carried around with them in the silent movies of yore, I decided the sock would become my constant companion. As long as it was unfinished, I had to carry it with me wherever I went. The sock chills out with a pumpkin and Autumn flowers. The sock takes the long walk down the hill to gather the mail. The sock had no problem coming back up the hill, though I can’t say the same for me. 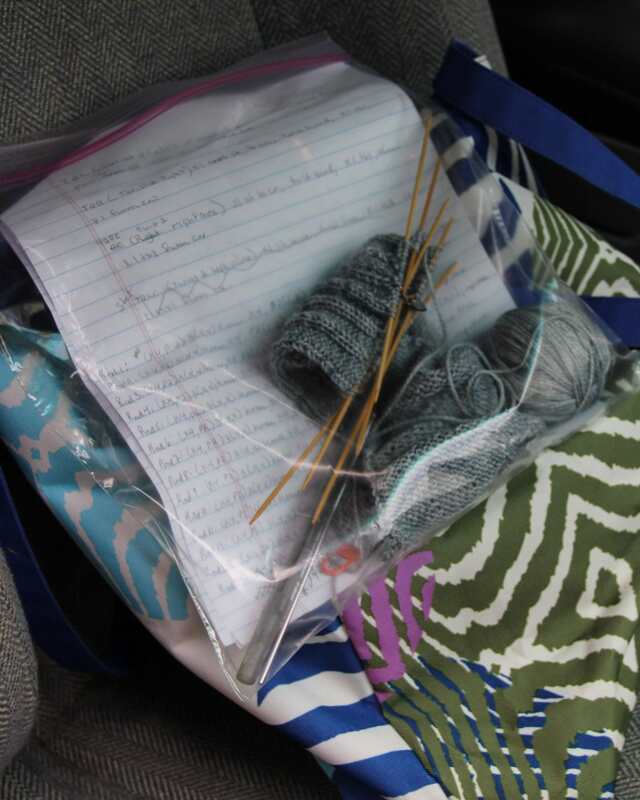 The sock running errands in the car. It got a lot of knitting time waiting in the doctor’s office. The ball and chain theory worked. 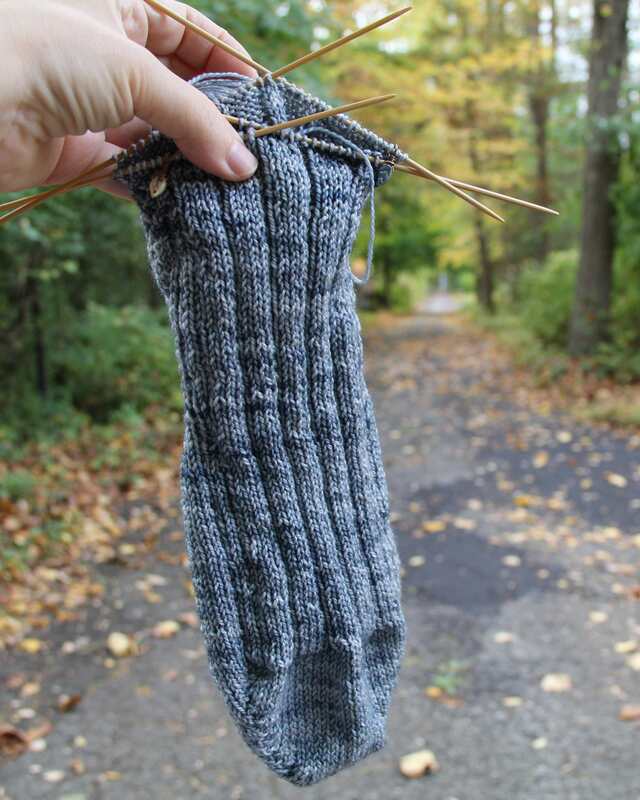 The Skipper’s second sock is done. Photographs on Monday. Well done! 🙂 I wonder if I can adapt that method to my unfinished paintings………. Good job getting your sock finished. I have a few socks sitting in the basket that need to be finished. Maybe I’ll give your plan a try. Thank you. I don’t know if it would work with paintings.